Reviewing a compilation CD is a bit like reviewing a cheerleading squad. You have to not only score the relative hotness of each girl as an individual, but how they work together as a team. Then you must factor in things such as presentation, costumes and pep. So when I sat down to review Sub Pop’s Cybersex Digital Sampler (2009), I was a bit overwhelmed, but in a good way. 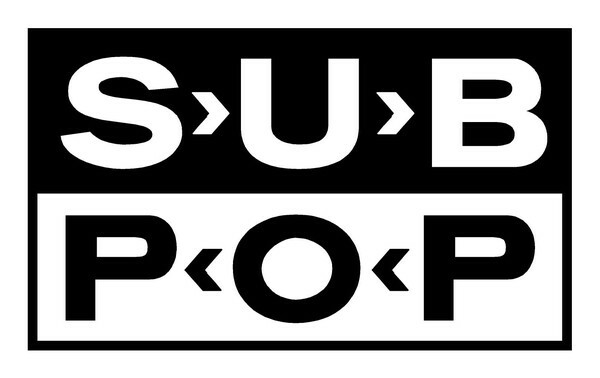 Sub Pop Records is a Prolific Seattle label that has a quirky, buck-the-system attitude to making music, as evidenced by their album. You won’t hear a sugary pop song on this album, but instead you’ll hear compelling lyrics, complex rhythms and tambourines. Yes, I’ve got a thing for tambourines, so sue me. First up on the album is “Strictly Rule” by the band Vetiver. This is probably one of my favorite songs on the entire sampler. I love the incorporation of 70’s style rock with a smooth vocal that gives it a simple but profound sound. The lyrics are perfect and I love how they turn common phrases (“Once chased now this bitter taste as I swallow my pride…”). Other notable songs include “Pine On” by Obits. The driving rock in this song makes you just want to jump out of your seat and dance like a crazy person (okay, so don’t do it at work or your boss might have you committed). I have to mention the song “Son of a Gun” by The Vaselines. The unique sound of this song was compelling enough for me to want to buy the Vaselines’ album. With a mix of unrelenting drum beats and nearly jarring electric guitar conflicts with the gentle, gliding male and female but the mixture is compelling and fun to listen to. The album has it all, from traditional indie rock to the haunting powerful “Mykonos” by Fleet Foxes. “Mykonos” is lyrically the strongest of the songs on the compilation, giving a beautiful, poetic story that makes you think (rather than having a theme that’s bashed over your head with idiot-proof words). Rounding out the album is the song “Hurt Feelings” by Flight of the Conchords. This hilarious duo from New Zealand have, once again, managed to take traditional music and turn it on it’s ear. Hurt Feelings is a parody of rap music, autobiographical raps, rappers themselves and the traditional subjects of rap music. The tongue-in-cheek lyrics elicited quite a few laughs from me as I listened. But “Hurt Feelings” is not just a funny song, it’s a fun to listen to song incorporating a strong rap beat, hand claps and what sounds like a dying jack-in-the-box. And who can’t relate to having hurt feelings? If this album is any indication, you should be in love with Sub Pop as a record label. I never thought I’d say that, but I’m saying it now. Go forth and buy.